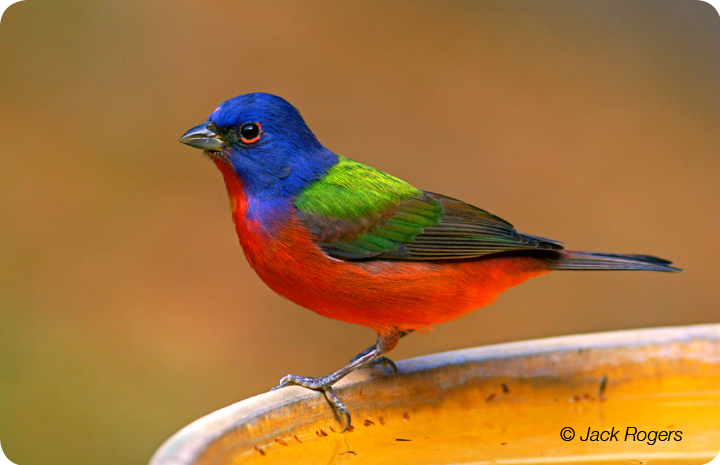 Painted Buntings are eagerly awaited winter visitors. The males’ brilliant colors contrast strongly with the more demure green females, but both are pretty secretive, so not that easy to spot in foliage. While the females exclusively feed the young in the nest, males take over feeding once a second brood is started. Northeast Florida’s coastal areas are home to the state’s largest breeding population, where singing males can be found between April and August. This species has been declining for decades due to habitat loss and capture for the illegal caged bird trade. They readily come to backyard feeders in the winter.